Melaleuca Products party – the 13th will be at Miranda’s home and the 15th at 7pm at the shelter. Let Miranda know miranda@helphumane.org if you would like to attend her home party, she lives in Shawnee, Ks. 20% of the sales will go to HELP. These are environmentally safe products for health and home. Diana and Shannon have been brainstorming on an adoption promo because our adoptions are at an all time low. They have come up with “Take a Chance” running approximately one week in April. Each day would have a different theme, “Take a Chance on a Senior”, “Take a Chance on a Bonded Pair”. Whatever animals fall into the promo for the day will have a reduced adoption fee. On the Saturday when the promo ends, we will have a “wheel” adopters will spin to find otu what their adoption fee will be. Approximate day of starting the promo would be 4/23. We are hoping to be in need of extra volunteers that week. More info to come. Let Shannon@helphumane.org or Diana@helphumane.org know if you would be interested in helping out or if you have any other clever ideas on promoting this. We are also looking for help with publicity for this event. Finding free places online to post and doing press releases. 5p-8p At this point, Miranda is in need of artwork and sponsors. She has letters requesting a donation of artwork and sponsors if you would like to help out with those needs. Also have flyers advertising the event if you would like to have that, just email cyndi@helphumane.org or miranda@helphumane.org We will be providing the desserts for the event, so we are looking for people to donate a dessert. Volunteers needed on that day for setup, we will be allowed in the building at noon (if no other event gets scheduled between now and then) or 3pm (if no other event gets scheduled). Let us know if you are able to help out in any capacity with this event. We are also looking for help with publicity for this event. Finding free places online to post and doing press releases. This will be another special adoption event where all adoption fees will be reduced to $55 (5/5) for the day. We will be looking for additional volunteers that day. Also would like to share goodies with visitors, obviously a Mexican theme would be good, but not a must. 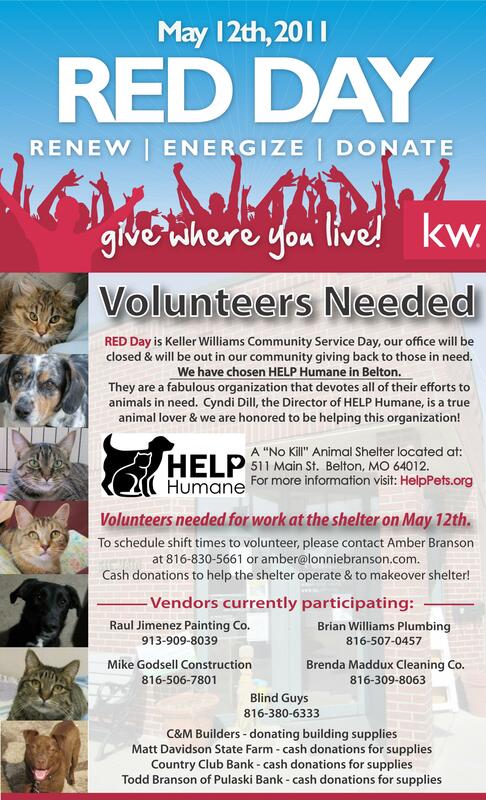 Let cyndi@helphumane.org know if you could help out that day with volunteering or bringing goodies. We are also looking for help with publicity for this event. Finding free places online to post and doing press releases. We began this discussion trying to set a date for this. Last year it was a bit later in the year because we were waiting for Red Day to be through. With several weekends during that month full with registration for the Bike Ride, we decided we needed to move it to June. Date of 6/16 was set. We will again be doing tours of the shelter and having a baby kitten shower. Will need lots of help that day if you are able. cyndi@helphumane.org if you can help. We are also looking for help with publicity for this event. Finding free places online to post and doing press releases. 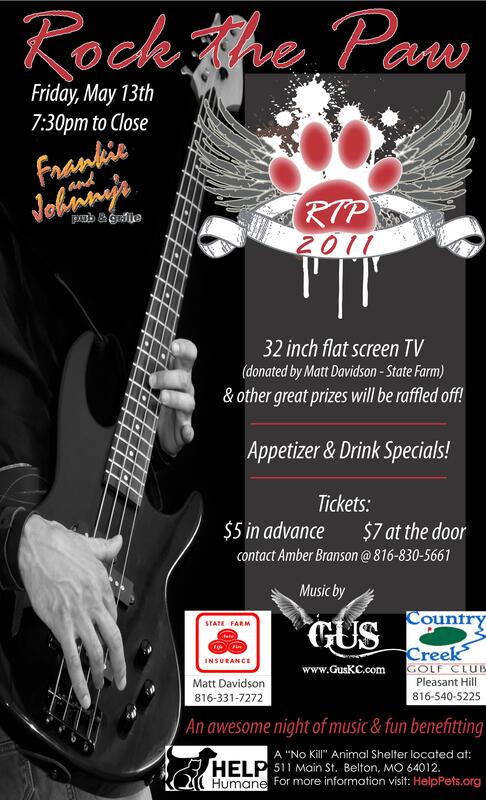 We already have Rawhide Harley and Belton Animal Clinic and Exotic Care Center as sponsors for the event!! We do have a sponsorship presentation package available if anyone would like a copy, email cyndi@helphumane.org. No one made any progress with getting Johnny Dare as the MC back at the shelter, so we discussed who else we might try and get. Diana said Karli Ritter from Channel 4. Cyndi was going to request her to do it through their website. More later. Tara was going to work on some liability releases and registration forms. We are going to need to have volunteers at Rawhide Harley on 5/19-20 and 5/26-27 to get bikers signed up. We know this is going to be trying but if we really want to do this thing right, we are really going to need help with the sign ups for the 2 weekends prior. Sponsor deadline on this is 4/1, so if you have anyone that might consider this, please let cyndi@helphumane.org know and she can get you a sponsorship pkg. Diana mailed out several and will be following up soon. We are also looking for donations for the raffle when the riders are back at the shelter. Lots of work to do on this and could really use some help both before and during the event. Let Cyndi@helphumane.org or Diana@helphumane.org know if you can help out in any way. We have a goal of raising $5000 from this event, its gonna take some work to get us there though. We are also looking for help with publicity for this event. Finding free places online to post and doing press releases. Tanna Guthrie is booked again and contract signed, same terms as last year, she was very excited that Bryan Busby had also been confirmed again. A theme has been chosen “A Evening in Egypt” which should be alot of fun since cats used to be worshipped there as Gods! Now that the theme has been chosen, the sponsorship package will be finalized and ready for sponsor chasing this coming week. Need sponsors and auction donations. Let cyndi@helphumane.org know if you can help out in anyway, we are needing help with all aspects. We are also looking for help with publicity for this event. Finding free places online to post and doing press releases. There are drop boxes for Paw Points and Best Choice food labels in the front room of the shelter. These can be redeemed for animal related items. Paw Points come with Fresh Step litter (Scoop Away isn’t included anymore). The Best Choice brand is available at many local groceries. HELP accepts aluminum cans, paper (we now have a paper recycling bin located on the side parking lot of the shelter. We will need lots of paper to make this a good fundraiser, so please, bring your newspapers, catalogs, and junk mail and school papers by and drop them in our bin. Also, you can bring your shredded papers, but leave them in a trash bag with holes punched in it, (but please, no phone books) old cell phones, ink and toner cartridges. This doesn’t get us tons of revenue but its no work, please pass the word and along with that, we are doing our part in helping keep this stuff out of landfills. We also accept cell phones, inkjet and laser cartridges for recycling. You can help from filling the landfills in our country and the animals all at one time. Please contact Shirley at swmaples1@att.net with questions about the cell phone and empty cartridges. I know you see this month after month. I ordered printer cartridges from a firm supporting igive and made close to $7 for HELP on a single order. There are many online merchants that will donate money to HELP through purchases made online. The purchase price will be the same as if you shopped directly at that site, so this is simply a big bonus for HELP! Simply go to http://www.iGive.com/HELPHumaneSociety and sign yourself up. HELP will receive an added $5 donation the first time you use the program. Anytime you need to do a search online, please use these search engines and designate your money to go to HELP Humane Society. Doesn’t cost you a thing and gets us much needed funds. We are well below our goal of 2000 Shelter Buddies; please consider talking to your friends about it. Gayle has designed a stunning brochure about it. I am sure she would be happy to email it to anyone that would like to keep copies on their desks or ask friends to sign up. Gayle’s email addy is grhilligoss@embarqmail.com if you would like to receive an electronic copy to distribute. This has been put on the back burner until 2013. We were going to do this in conjunction with the Charity Motorcycle Ride but because of getting started a bit later then we hoped, the ride is scheduled in June. Cyndi thought that this was pushing too close to the BTA. Our hope is to have the 2nd Annual 2 Wheels 4 Paws 2013 ending at a barn party fundraiser. 1-4pm, Diana said everything is in place, we could always use extra help around the shelter during that time period if anyone has time available. Stacy S and Pat J will be bringing goodies for quests. 6a-9p We will get 15% of each ticket that is accompanied by one of our flyers. This will run all day, which is awesome, most places only allowed a couple hours. And we are able to do this once a month if we can get it going. We are also able to have a table set up there to hand out Shelter buddy brochures (not the meal percentage flyer) If anyone is available to sit for an hour or so and talk to people about HELP, we really need you. 8a-10a is filled, please let cyndi@helphumane.org or diana@helphumane.org know if you can help out. This is a great opportunity to make a bit of money and get our word out there! We have already made quite a bit of progress on this event. The ride will start at Rawhide Harley in Olathe. Rawhide will be feeding breakfast to the riders before they begin. Someone is planning the route they will go, they will end up at the shelter, which will give us some good exposure. Jack Stack’s BBQ will be catering a meal at the shelter for the riders when they arrive. We already have Rawhide Harley and Belton Animal Clinic and Exotic Care Center as sponsors for the event!! We do have a sponsorship presentation package available if anyone would like a copy, email cyndi@helphumane.org. Cyndi put in a request to have Dave O from Mix 93 at the shelter to “emcee” the goings on there, however, he said he wasnt sure if he could because he was 50/50 on vacation (not sure what that means….LOL) but he wants Cyndi to contact him mid-March to see if we can get Mix 93 involved and he will have a final answer about him emceeing. We discussed whether we should try and get Johnny Dare, Nicki has a contact and so did Diana. So it was decided to work on getting someone else there until mid March. If we could find another DJ etc to commit before Dave O asked me to get back with him, then we will go with whoever we can get to commit. We will be having a raffle back at the shelter, some tickets will be included in the price of the entry fee along with the Jack Stack meal. We will have tshirts for sale that will have sponsor logos etc on them and the name of the ride. It was suggested by our contact at Rawhide to include the meal in the entry fee and sell the tshirts separately. The entry fee is $25. We are looking for sponsors and raffle donations at this point. Will need LOTS of help the day of the ride at Rawhide and the shelter. diana@helphumane.org or cyndi@helphumane.org if you can help that day, if you can help getting raffle donations/sponsors. Cyndi was a bit slow getting this going this year, but now has Ritz Charles booked for 9/8/12, we need a theme though. We like to keep with the “A Night Among/or in” 1st year – A Night Among the Stars, 2nd year – A Night in Vegas 3rd year – A Night Among Heroes and 4th year – A Night of Childhood Memories. We are looking for suggestions from everyone. This is a formal dinner, silent and live auction, scrumptious 5 course meal, HELP presentation. A request to channel 9 has been submitted for Bryan to emcee (waiting to find out on that), Tanna Guthrie has signed on for her second year as auctioneer. We have Belton Animal Clinic and Exotic Care as a host sponsor again. The sponsorship package is almost ready for presentation to potential sponsors if anyone would like a copy to present to anyone. We are looking for auction items also. We need lots of helping getting sponsors and auction items if anyone can help Cyndi@helphumane.org Also looking for free advertising venues along with someone to write press releases and submit to various media. I know you see this month after month. I ordered printer cartridges from a firm supporting igive and made close to $7 for HELP on a single order. There are many online merchants that will donate money to HELP through purchases made online. The purchase price will be the same as if you shopped directly at that site, so this is simply a big bonus for HELP! Simply go to http://www.iGive.com/HELPHumaneSocietyand sign yourself up. HELP will receive an added $5 donation the first time you use the program. Awesome band GUS will perform! Drink and food specials, raffle!… Come participate in any or ALL!!! Tickets on sale now! This just in – For raffle – 32″ Flat Screen TV from Matt Davidson (State Farm Agent/Raymore, MO) 2-$25 gift certs from Balls Price Chopper! Contact HELP to purchase tickets to the event $5 in advance or $7 at the door! Come Hang Out with US! It will be a FUN NIGHT! !